All seniors must fill out the attached form in order to walk at graduation. 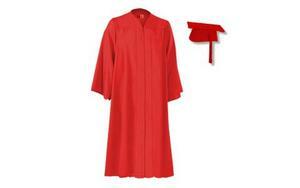 You may choose to rent or purchase the cap and gown. All the CVUHSD sites are coming together to celebrate spring! 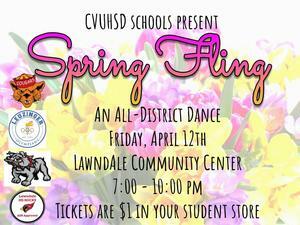 The dance will be at the Lawndale Community Center on April 12th from 7:00 - 10:00 pm. Tickets are just $1 in the student store. Spots are limited! Every 15 Minutes is a program created to simulate the effects of drinking and driving on the community. Based on the statistic that when the program was started in the 90's, every fifteen minutes someone was killed by a drunk driver. Lawndale High School will participate in the simulation Wednesday, March 20th - Thursday, March 21st. 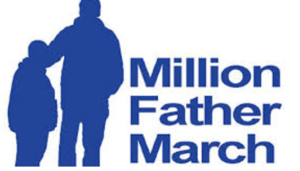 The program is targeted to 11th and 12th graders. Lawndale High is very proud of Lizet Garcia for her early acceptance to Dartmouth. Lizet has not only pushed herself academically (1 out 540 students) but has made a mark on Lawndale for her hard work and dedication outside the classroom. She truly embodies ROCKS. 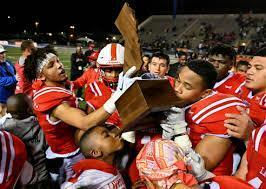 Lawndale football faced off against San Joaquin Memorial in the Division 2-A State Bowl Championship. Lawndale football clenched the title with a 20-12 win. Lawndale Football Coach Travis Clark named LA Chargers Coach of the Year!!! On Wednesday, 12/5/18, Head Football Coach Travis Clark was awarded the Coach of the Year by the Los Angeles Chargers Head Coach Anthony Lynn. Coach Clark is also the LA Chargers nominee for the NFL Foundation's 2019 Don Schula National Coach of the Year competition. In addition to this honor, Coach Clark received two tickets to the NFL Pro Bowl in January 2019. On behalf of Lawndale High School and the Lawndale Community we congratulate Coach for these honors. The entire Cardinal Family is immensely proud of Coach Clark and his team. Keep up the good work! 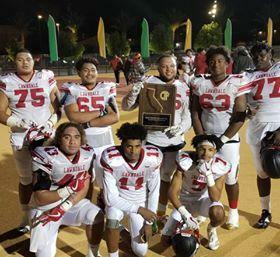 Lawndale is Southern Regional Division 2A Champions! Next stop, CIF State Bowl game! Come and join the Lawndale Cardinals for the CIF State Championship on Saturday, December 15th at 4pm at Cerritos College. GO CARDINALS!! Come and be part of history. Our goal is to get 100% of our students, parents, faculty, and key staff to take the Speak Up Survey because it not only helps to inform decisions about educational technology at all levels of government, but it also helps US because we can use the Speak Up data to inform our programmatic decisions for the CV Digital Learning Initiative! Lawndale Cardinals win the 2018 Division 5 CIF-SS Football Championship! Lawndale Cardinals beat the Palos Verdes Sea Kings 34-20 on Friday, November 23rd to clench the 2018 Division 5 CIF-SS Football Championship. 1966 was the last time Lawndale Football won a championship. Learn how to CREATE a HERO Account to access digital ID by watching the video. Go to the senior website to vote for "Most likely to..." and submit a senior quote. All students must have a current Lawndale High School ID on them at all times. Starting November 1st, students without a 7th or 8th period must scan their ID to leave campus. If you do not have an ID, you may go to the student store. Replacement ID's cost $5 or 25 Cardinal Points. NOTE: A picture of your current ID can be scanned if you do not have the hard copy. Students wishing to ride the rooter bus, must print and fill out the attached permission slip. 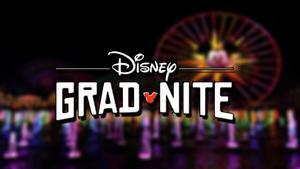 The permission slip must be turned in to the student store at the same time you purchase your ticket. Student tickets are $10 with a current student ID. Please see attached for the code of conduct. Last day to turn in permission slips is Thursday, December 13th! 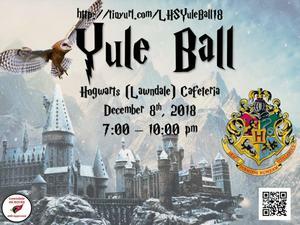 Lawndale High School Cafeteria will be transformed into Hogwarts as we celebrate the season with our Yule Ball. You will find all the information you need in the article. 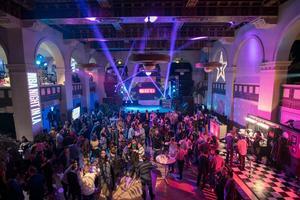 The dance will take place from 7:00 - 10:00 pm. Light refreshments will be served. Parents and Community Members!!! You are invited to attend the second of three LCAP Stakeholder Sessions on Wednesday, November 28, 5:00pm - 7:00pm, in the Leuzinger HS Cafeteria. The session will focus on gathering your input regarding the District LCAP Goal #2: Provide varied supports to actively engage students, families, and the school community in promoting students' academic and behavioral health. Staff from both the District and school sites will be in attendance to facilitate small group discussions, and dinner will be provided. 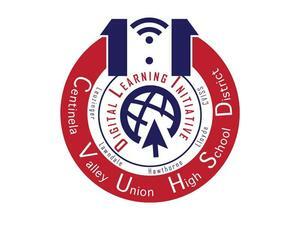 Every 9th grader and new 10th grader in the 2018-19 school year will receive a take-home Chromebook as part of our Digital Learning Initiative at Centinela Valley Union High School District. Prior to receiving the Chromebook, the student and a parent/guardian must complete a mandatory online training. It is highly recommended that the training course be completed prior to going to the Media Center to expedite the computer check-out process. Click on Link for more info.